Venice was visited by King James III and VIII in 1728, by the Prince of Wales (later King Charles III) in 1737 and 1749, and by King Henry IX in 1799. For many years King Francis I and his sisters Princess Maria Theresa and Princess Maria Beatrice, maintained residences in the city. the Locanda Leon Bianco on the left. In 1728 King James III and VIII made an incognito visit to Venice for Carnival.1 He stayed at the White Lion Hotel (Albergo Leon Bianco). 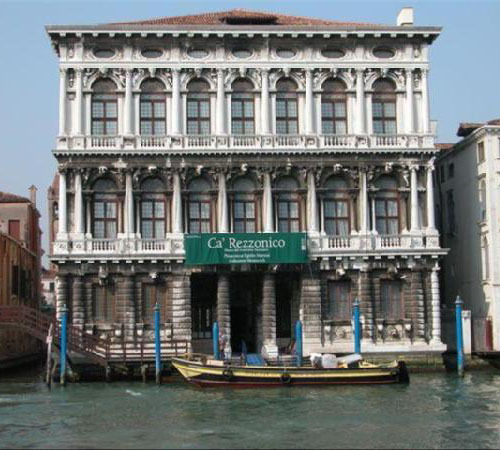 The Albergo Leon Bianco was located in the Ca' da Mosto, a thirteenth century palace and the oldest building on the Grand Canal, near the corner of Rio dei SS. Apostoli. Today next door to the Ca' da Mosto is another hotel, the Locanda Leon Bianco. From November 30, 1799, to March 14, 1800, the College of Cardinals met in this monastery to elect Pope Pius VII; King Henry IX served as Vice-Dean. The room used for the conclave, the Cappella Superiore, can be reached by a spiral staircase near the sacristy. 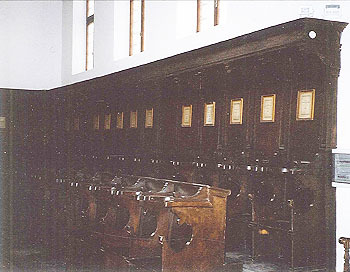 The stalls of this chapel are still decorated with the names of each of the cardinals who participated in the conclave.2 Henry remained in Venice for several weeks after the conclave, presumably at San Giorgio, before returning to Rome by way of Siena. The church is open daily from 9.30 a.m. to 1.00 p.m., and from 2.00 p.m. to 6.30 p.m. The Cappella Superiore can be visited on request. In 1850 Baron Francesco Galvagna sold two Venetian palaces to King Francis I.3 Francis never lived in Venice, but presumably he and his ministers used these two palaces when they travelled between Modena and Vienna. 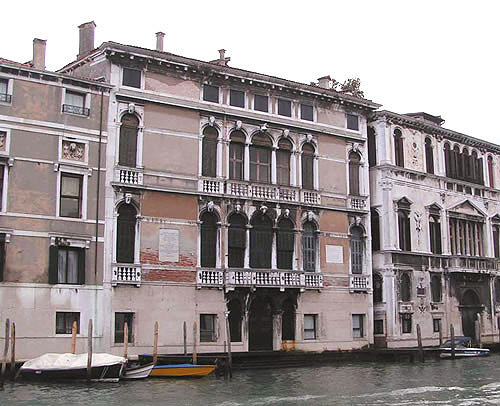 Palazzo Mocenigo Casa Vecchia is located on the east side of the Grand Canal just opposite Palazzo Balbi and the entrance to Rio della Frescada. 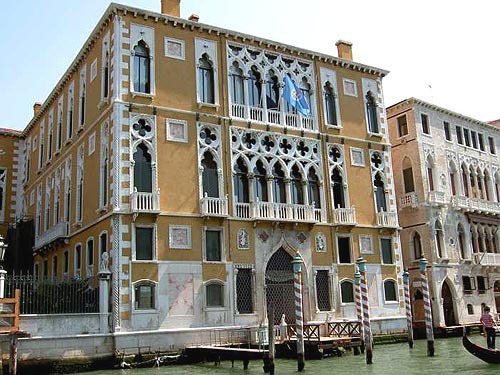 This palace (formerly called Palazzo Cavalli Gussoni) is located on the Grand Canal only a few hundred metres west of Piazza San Marco. In 1847 it was purchased by the comte de Chambord, husband of Princess Maria Theresa, and brother-in-law of King Francis I.6 The comte and comtesse de Chambord continued to live here part of the year until 1866 when Venice became part of the Kingdom of Italy. In 1878 the palace was sold to Baron Raimondo Franchetti (from whom the palace takes it current name). 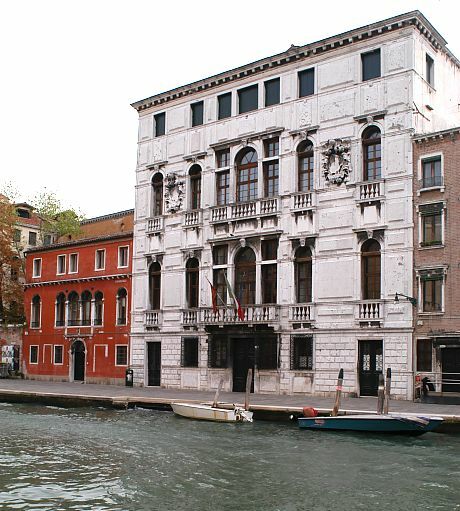 Today the palace is the seat of the Istituto Veneto di Scienze, Lettere ed Arti. The palace was the setting for the portrait of the comte de Chambord by Adeodata Malatesta now in the Palazzo Ducale in Modena; in the background can be seen the Basilica di Santa Maria della Salute on the other side of the Grand Canal. The palace was also probably the setting for Malatesta's companion portrait of the comtesse de Chambord now in the Museo Civico in Modena. 1 Martin Haile, James Francis Edward, the Old Chevalier (London: J.M. Dent, 1907): 331. Another source suggests that King James was at Venice in May 1728 for the Feast of the Ascension. 2 It is also sometimes said that there are portraits of each of the cardinals, but, if these ever did exist, they certainly do not today. 3 "Savorgnan", http://venicewiki.org/wiki/Savorgnan. Hugh A. Douglas, Venice on Foot (New York: Charles Scribners' Sons, 1907): 220. 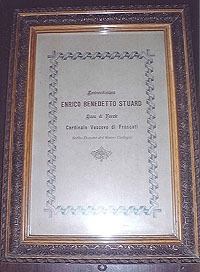 Eugenio Bucciol, Da Versailles a villa Galvagna: La vicenda di Richard Lionel Guidoboni Visconti, figlio presunto di Honor� de Balzac (Portogruaro: Ediciclo, 1999): 73 and 102. 5 The park is the third largest in Venice. There are entrances at Ponte delle Guglie, from the Calle Riello, and from the Campo San Geremia. 6 The palace was purchased from the estate of Archduke Friedrich of Austria who had died that year. Archduke Friedrich was the younger brother of Archduke Karl Ferdinand, the second husband of Archduchess Elisabeth, mother of Queen Mary IV and III. 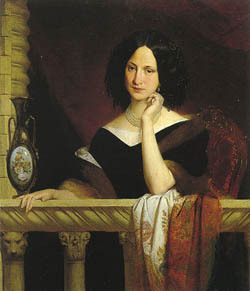 The comte de Chambord's mother the duchesse de Berry had maintained a residence in Venice at Palazzo Loredan Vendramin Calergi (now the Casino) since 1844. 7 Filippo Pedrocco, Ca' Rezzonico, Museum of 18th Century Venice (Venice: Marsilio, 2005), 15. The source is a little confused; it says: "Francesco I, duke of Modena, lived ithere between 1840 and 1857, also as a paying tennat, along with his daughter Beatrice, her husband the infante of Spain, Don Juan, and their son, the pretender to the Spanish throne, Don Carlos, duke of Madrid". 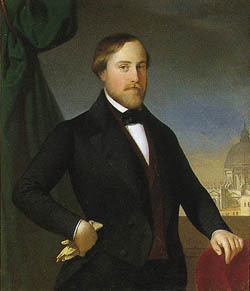 Presumably it was Duke Francis IV, husband of Queen Mary III and II, who first rented the palace in 1840. This page is maintained by Noel S. McFerran (noel.mcferran@rogers.com) and was last updated October 26, 2010. © Noel S. McFerran 2003-2010.